The 20th Thesis Prizes Ceremony of the Société de Biologie de Strasbourg will be held on Friday, March 22, 2018 from 9 a.m. to 2 p.m. at the auditorium of the Collège Doctoral Européen (46 Boulevard de la Victoire – 67000 Strasbourg). These will be the Thesis Prizes Centenial. The 2018 Thesis Prizes of the Société de Biologie de Strasbourg reward young doctors of the University of Strasbourg authors of outstanding theses in biology. 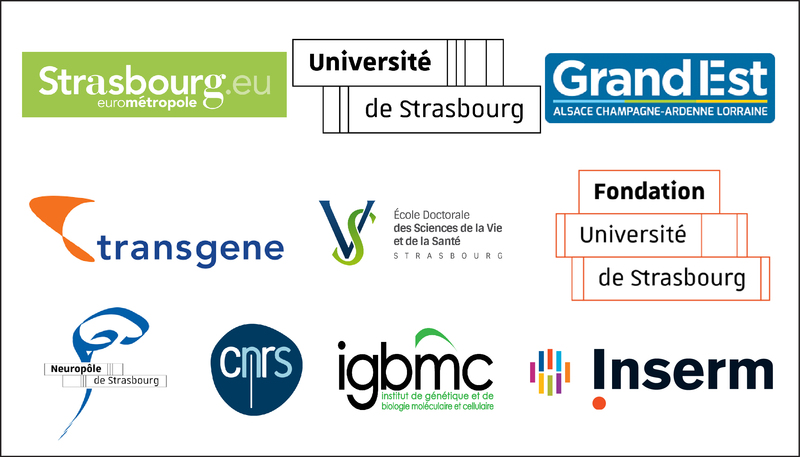 This year the Thesis Prizes that will be awarded are: Prize of the Ecole Doctorale Sciences de la Vie et de la Santé, Prize of the Eurométropole de Strasbourg, Prize of the Fondation Université de Strasbourg, Prize of the Région Grand-Est, Prize of the Transgene company, Prizes of the Société de Biologie de Strasbourg. Important: If you wish to attend the 2018 Thesis Prizes Ceremony of the Société de Biologie de Strasbourg on March 9, thank you for using the Contact Form choosing ‘Thesis Prizes’ as subject and indicating your desire to attend the Ceremony .